Villa Isabel is a gated property sat in 3000sq/m of private land & located in the San Pedro district of Alcantara. This beautiful villa sleeps upto ten guests. Offering 4 double bedrooms, two bathrooms, a fully equipped kitchen and a spacious lounge diner with doors leading onto one of several terraces. Relax by our private pool or lie back with a drink on the sun-soaked terrace area. 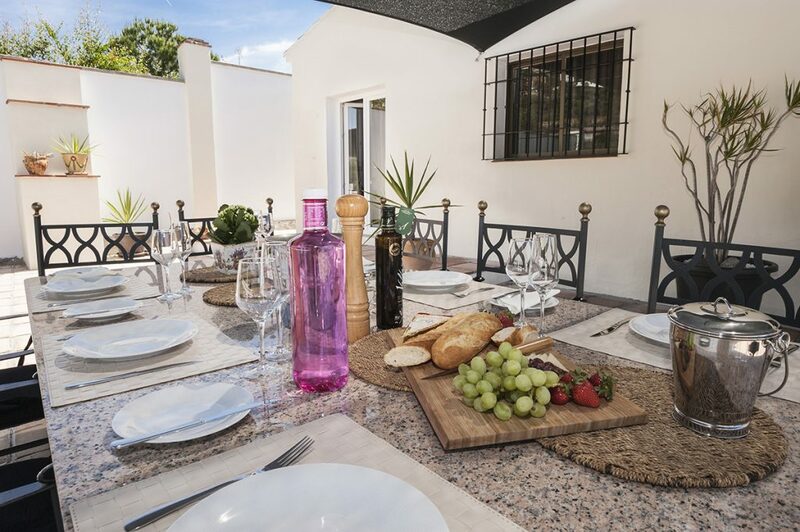 Located five minutes from the beautiful town of San Pedro with its fabulous restaurants and nearby one of Europe’s prime holiday resorts, Malaga/Alcantara – yet offering all the peace and tranquility of a luxurious hidden retreat. The south-facing property is fully furnished including towels and linens, ensuring you have everything you need to hand for your stay – with Sky TV, wi-fi and air conditioning throughout. To see for yourself, check our photo gallery.